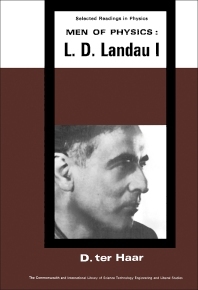 Men of Physics: L D. Landau, Vol. 1: Low Temperature and Solid State Physics is a compilation of the most important scientific contributions of L. D. Landau, Nobel Prize winner in Physics for 1962. This volume contains eight papers that elucidate the theories of Helium II, Fermi liquids, superconductivity, electron diamagnetism, and ferromagnetism. Undergraduate students in the field of physics will find the book invaluable.